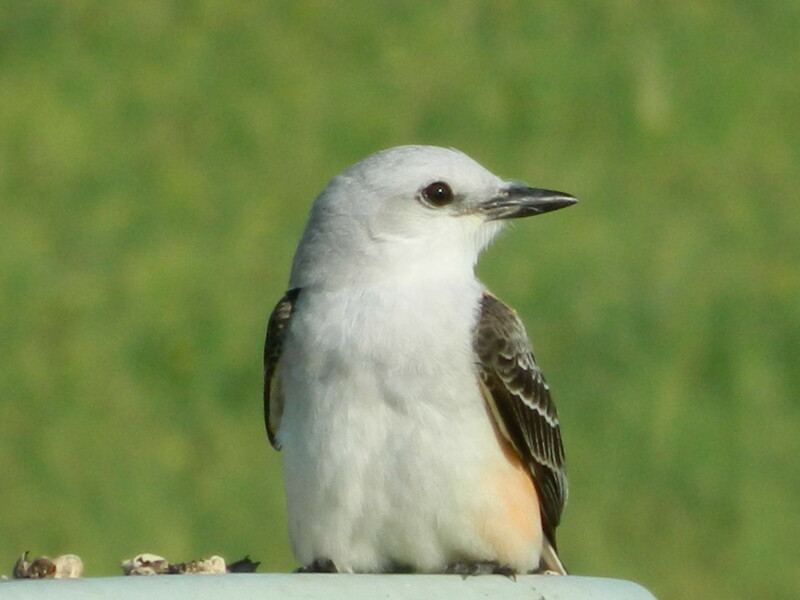 This is the state bird of Oklahoma and is actually a kingbird. Striking in its own way and unmistakable when seen, unlike the bands of confusing-to-identify vireos and warblers, one will not have difficulty in identification. The most striking feature about this bird, is its tail, which it was named for. During the interesting courtship ritual, the tail is opened and closed like a pair of scissors. As a matter of fact, it was interesting how I got a series of photos in this tree. This was the first bird that arrived in the area on April 2. He would just perch on wires off the telephone poles and to be honest, that wasn't the kind of photo that I wanted to share with a striking bird like this. Quite frankly, I felt that it was beneath him. So I stood with him, on-and-off, for a couple of days without even taking a picture. On April 8, my day had come. I heard my little friend, but I couldn't see him. He actually flew out of this tree in front of my face and hovered to make sure that I could see. Then he flew back to the tree, and patiently waited for me to get a proper photo of his lovely countenance, tail and all. I hoped to have the entire bird, but his tail is so long. It was either sacrifice a good picture that wasn't a close up, or make do with the entire bird at a distance. He let me do both, just chattering away at me. In a way, I think he was laughing at me. After all, he was waiting for the females to arrive and he wanted the pick of the litter, so to speak, so what did he have to do right now, other than entertain me...or was it vice versa? This bird is unquestionably a male, as males arrive in their territory first and the females all come in droves about two weeks later. I say this because once the females have arrived, it is nearly impossible to tell them apart if they sit side-by-side. A juvenile is easy to spot, as they are paler with a salmony or yellowish wash on the underparts and a short tail in comparison. An adult's tail looks to me to be around ten inches long. During courtship, I have witnessed the male do a spectacular sky dance for his chosen female. From about 100 feet above the ground, he suddenly plunges, flies in a zigzag pattern while doing a trilling cackle, then flies straight up and does two or three backward flips, while he displays his long streaming tail. This can be done until the eggs hatch, sometimes daily for two weeks. Every time that I see this display, I feel like I should be holding up a card with a "10" on it for the judges to record. This is about the closest that I have ever come to this particular male, about two feet away. He met me as I was walking to the lake from my house, just twittering away at me. I have seen him and others sit for quite some time waiting to snap up assorted flying insects, then catches them in midair from whatever perch has been chosen to wait on. They will even catch insects from the ground like grasshoppers and crickets. 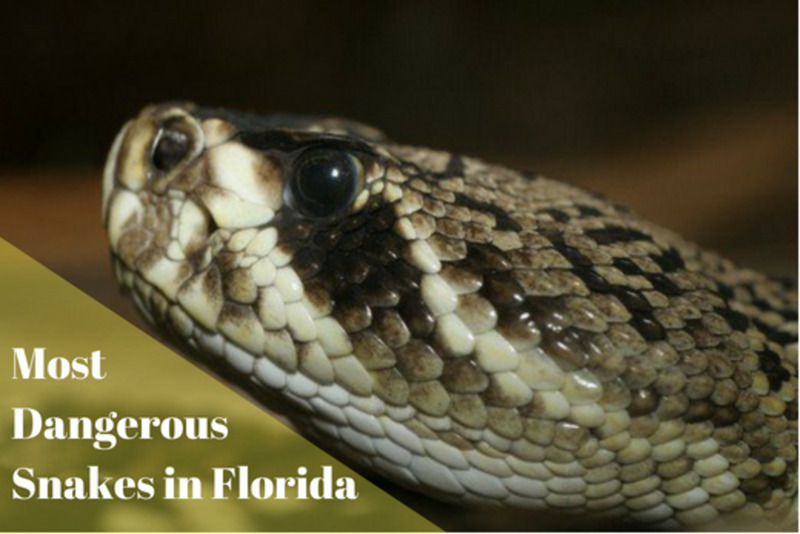 They prefer open country with scattered trees, prairieland and scrub and farmland and have one brood per year. Note the striking colors under the wings of the adults, as well as the sides and flanks. About the only time that you can see all the colors is when the bird is in flight. When I got this picture, it was a bit windy, so this bird was just trying to keep himself stabilized. This is about all that I can tell you about the state bird of OK. I'm still discovering myself, and hope that you have learned a little about this bird, which you will only see in TX, OK, parts of LA, AR, NM, KS, and just south of the TX border into MX. 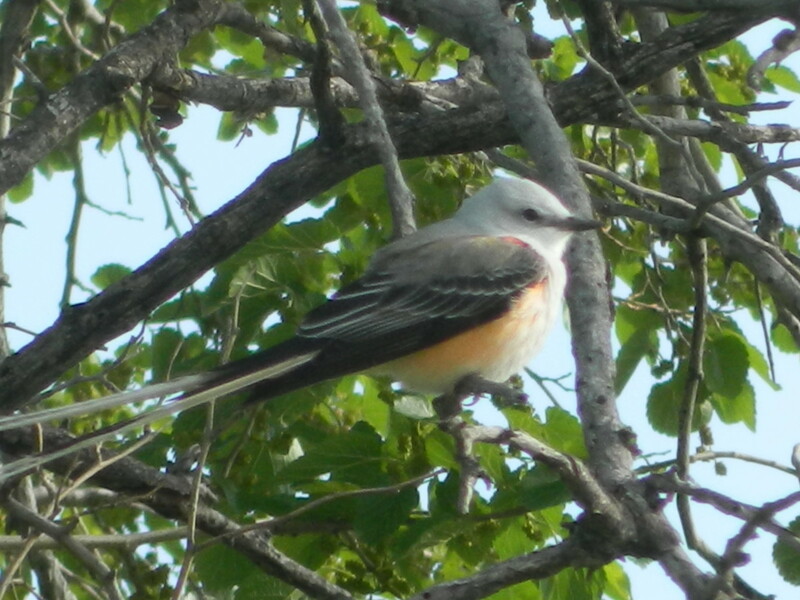 Here are just a few highlights from this year to keep you engrossed in the world of the Scissor-tailed Flycatcher. I happened upon an active nest and just saw a tail sticking out of the top. I had an excellent idea that I was about to witness something interesting. When the adult was done feeding the nestlings, it had to back out of the nest to extricate itself in order to fly off. It surely is an effective way of doing business. 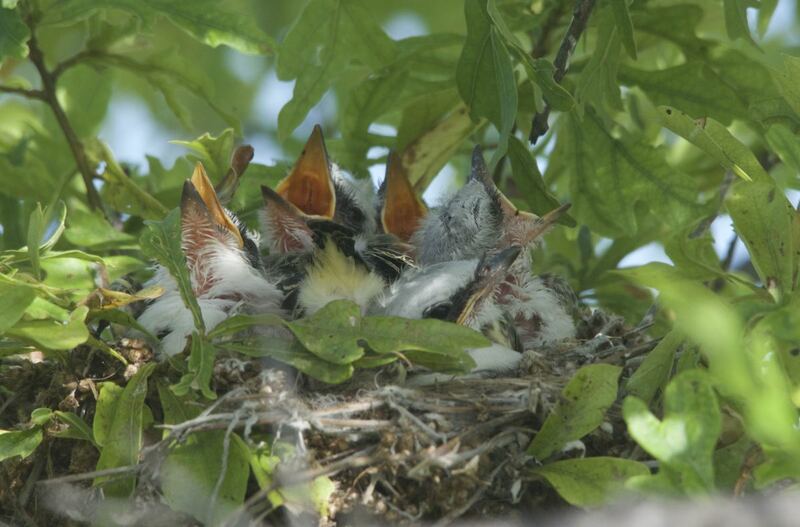 When baby birds are very young, they are fed every ten to fifteen minutes by a parent. Gradually, as the babies get older, the parents get a break, and this increases to every two to two and a half hours. At that point, the nestlings are soon to be fledglings, which means that they will then learn to fly. At first, the flying lessons are very short, from one branch of a tree to another, until finally, the maiden voyage is to another tree, but many times it is right to the ground. The parents continue to feed the young ones there. Usually, most babies are fine on the ground, and a parent is watching, so it is safe for them to be there. If you see that harm is inevitable, for example, a baby bird is covered with ants, then take action as a good samaritan. Ants can kill a bird that should not be out of the nest(covered mostly in down) in twenty minutes or less. In most other cases, the bird is fine. If you are not sure about whether or not you should intervene, contact your local veterinarian for the number of a licensed rehabilitator. The rehabilitator can effectively answer your questions. 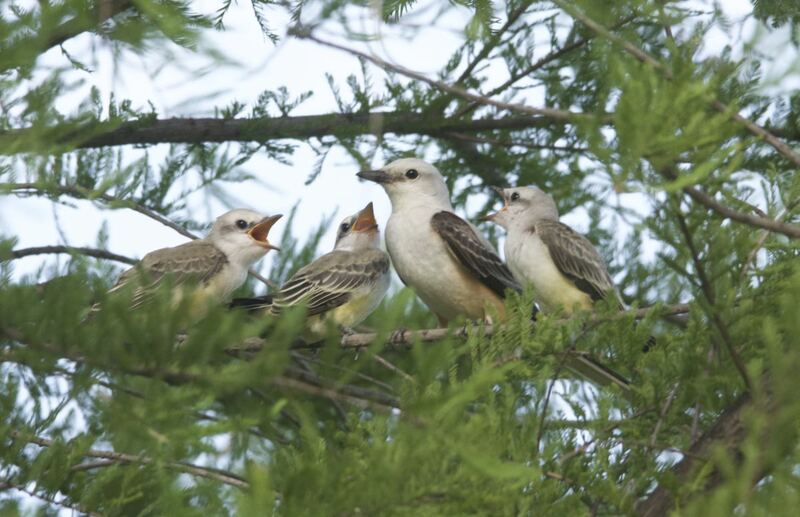 Due to the amount of rain over the past two years, baby season for Scissor-tailed Flycatchers has been spectacular. Never have I seen so many. There were so many nests, I had to limit myself to how many I observed so that I could keep track of them. Just being conservative, I day say that there were a dozen nests on the east side of Boomer Lake alone, and that is likely a low number. I also located the largest nest that I had ever seen, with six babies in one cup. Five of them fledged, but one did not make it, as it was crowded in. 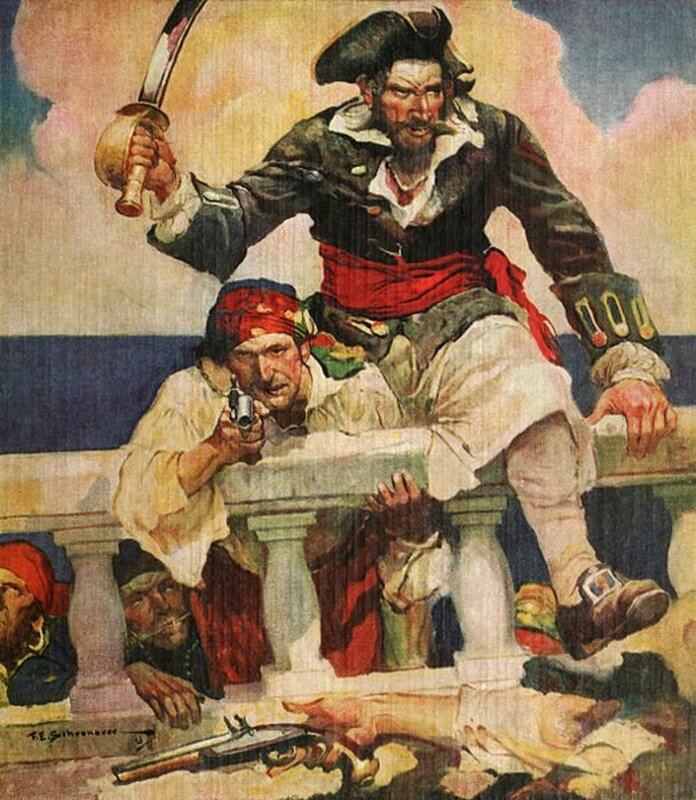 This is what occurs when there are too many to be fed. 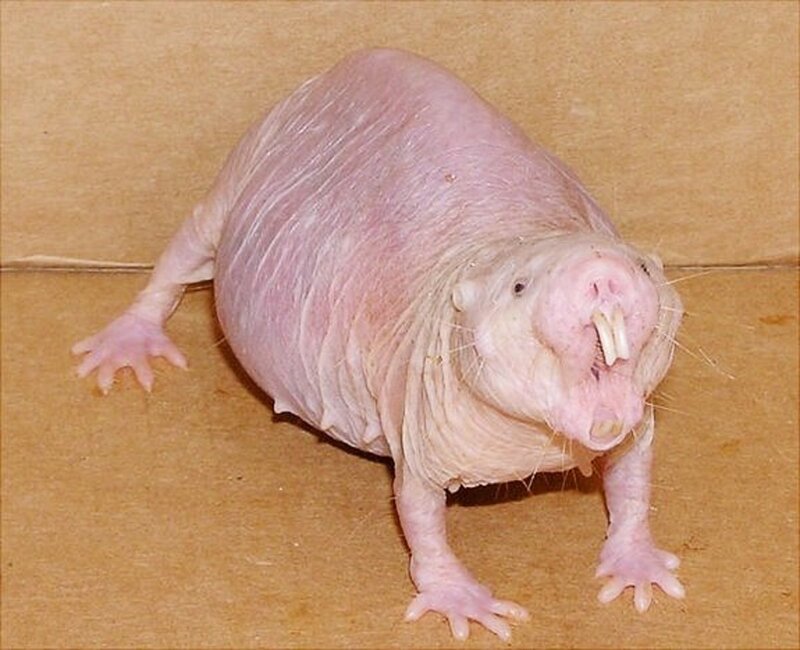 Call your area wildlife rehabilitator. If you don't know where to get that information, contact a vet, who should be able to help. A rehabber should be able to determine the injury status, and if intervention is necessary or not. Let me know if you can't find any help. 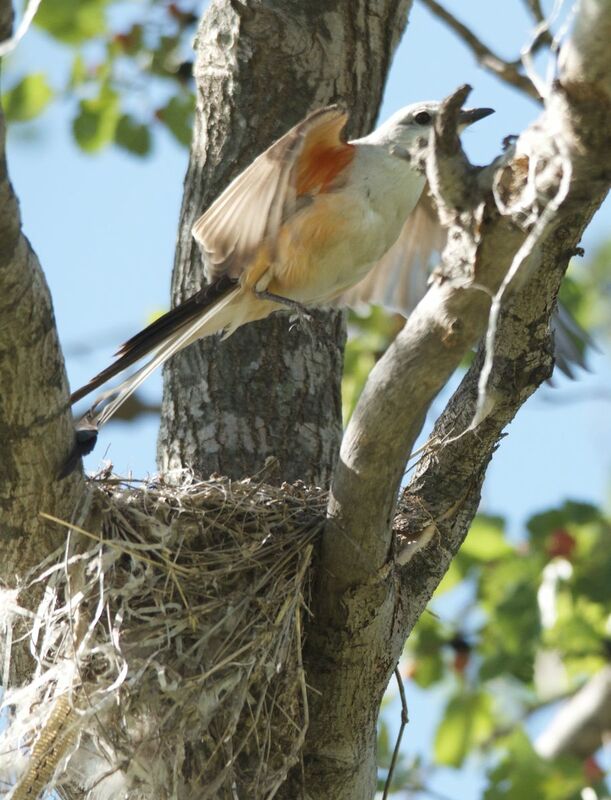 Maybe you can help--we have baby Scissortail flycatcher in our backyard that has an injured wing. She is in the corner of the yard and her parents still seem to be around, as they are helping us keep our puppy away from her by very skilled distractions. We don't know whether to intervene. She appears fairly healthy but for the injured wing. Any thoughts are welcome. They are such interesting birds, summerberrie. The babies are very friendly, too. I got so many great shots of the young ones, who have no fear of anything. We saw the scissor-tailed on our trip. I was amazed at how bright the red is under their wings. Beautiful. Wish we had the here in the East. Yes, DDE, nature is so remarkable. Things are so in sync in the natural world, I wish humanity would take lessons sometimes. Incredible information put together here, and you did it so well. Birds are so beautiful and have such an amazing nature. Why, thanks, Eddy. That was one of my earlier pieces. Wow what a brilliant number of comments. However so easy to see why. A brilliant hub which I save onto my facebook page. Thanks for the great words, Jen. If you like this, you might like my weekly column. I added a few pics of baby flycatchers in my last column on June 9, and there will be more coming in future ones. What a beautiful bird, and amazing photo's! Brilliant! I missed this when it won it's award but I'm glad to have found it now! Voted up and stuff, Jen. Thanks, au fait. Did you see Life at Boomer Lake with Deb on Saturday June 9? I show several picks of the baby flycatchers. Really great hub. We have scissor tails here too, and they're interesting birds to watch. Helpful in keeping the insect population down, too. Well written and informative. Voted you up, beautiful, interesting, and awesome! Thanks, prasetio. If you like birds, I have lots for you to read...thanks for reading, and I know that you would adore this bird. Hey, JamaGenee! I'm a transplant myself. 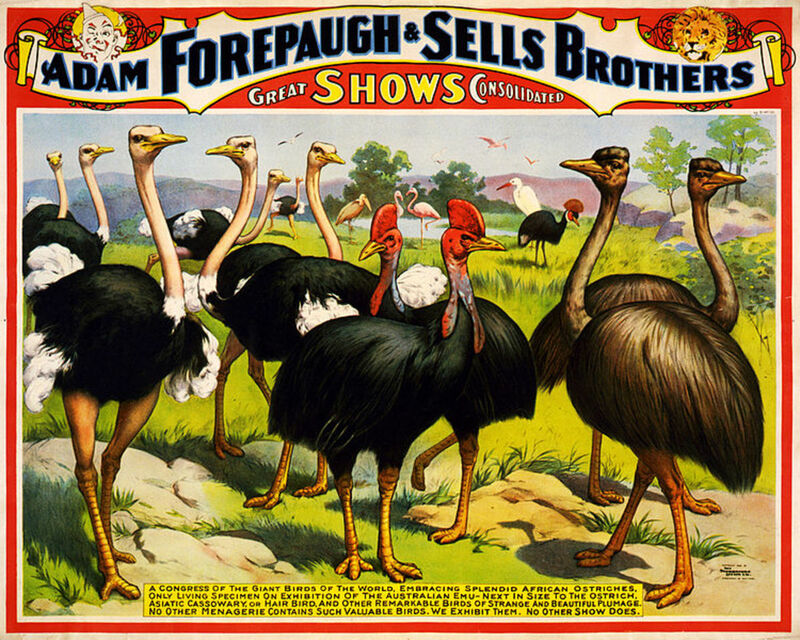 These are great birds, if you see them, watch them for a few minutes. 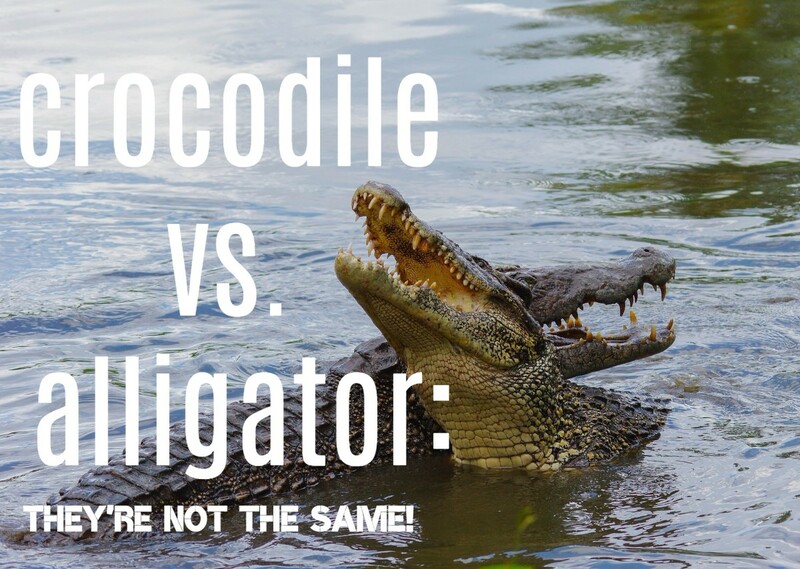 You'll see how unique they are. I've lived in OK for about 18 months and had NO idea (until now) what the state bird is! Thanks! Great photos! Who says "wild" birds aren't just hams at heart? Thanks, oceansider. Glad you liked it. 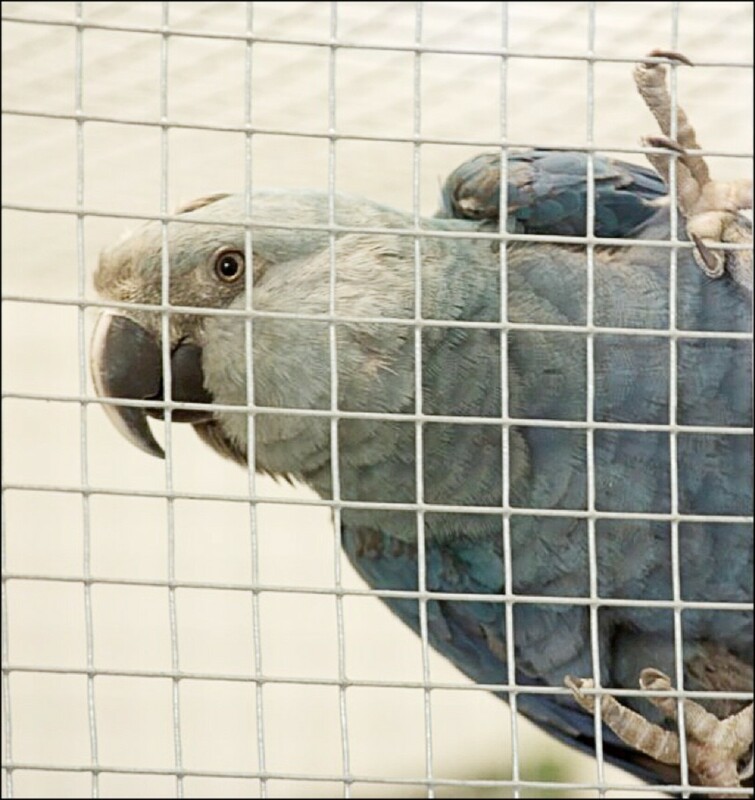 I love watching this bird, as they can be very entertaining and will even follow you around. Thank you for your interesting article on Flycatcher. What a pretty bird! I enjoyed the article. Thanks, radhikasree. It makes me happyt that you found this to be a good read. Birds, I have found, each have their own different personalities, just like people. Some of them are very amusing. It was a nice read about scissor-tail Flycatchers. Your close observations have amused the readers here, sure. Voted up and beautiful. Thanks for your words of encouragement, frogyfish. I only got this digital one-step-up from a point-and-shoot in December, so I am nowhere near a pro yet. However, I have attracted a pro photographer's interest, so I hope to be learning more through her. Thank you for an interesting article on our Flycatcher, and for your striking photos of them. Best regards and wishes for you and your camera in the future. Beautiful job and glad to meet you here! Thanks sammimills. Sounds like you are on the right track with your birding, photos and journal. I think I can keep you in reading for a little while. Glad you stopped by. I love birds! I enjoy bird watching with my friends and taking pictures and we even made a scrapbook, a compilation of all the birds we have seen. They are lovely and cute. Congrats on being HOTD! Enjoyed reading it as well as the pictures. Oh, indeed, Barb! They have been my entertainment since I got this camera in December. @aviannovice...Congratulations on an entertaining, informative Hub full of interesting Flycatcher facts and its choice as a Hub of the Day! Birds are neat to watch and observation of their habits is a day's entertainment. Thanks, Cathleena! What kind of interesting birds do you have in TN? What an incredible and interesting bird. Here in Tennessee out in the country, I come across a lot of beautiful bird specimens, but I've never come across one of these before. Awesome hub and photo display. I would have loved to watch their courting ritual. Great hub, voted up! You are most welcome, mecheshier. I will give you plenty of reading material. jpcmc, I just did a piece on "The Greatest Pollinators on Earth" that is geared EXACTLY along that venue. et's just hope more people get the habit of protecting and advocating for our feathery friends. I hate to see more animals extinct. COngratulations on the HOTD. Thanks randomcreative. I enjoy birds and photography in my little piece of the world. Thanks, susanm! There are so many wonderful birds out there to enjoy. Thanks for coming by and reading it. Great topic for a hub! Your pictures are beautiful, and I love how you organized everything. Congrats on getting Hub of the Day! Thank you, urmilashukla23. It was a fun topic for me. I appreciate your support, livingpah. Thanks, Luckycats. I was very surprised, myself. Congratulations on Hub of the Day! Your beautiful hub certainly deserves the award. 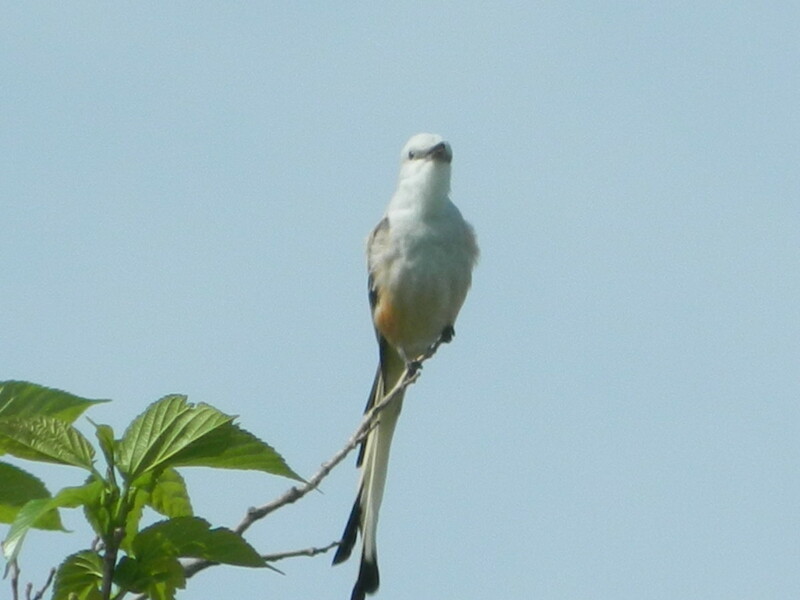 I love the photographs of the Scissor tail flycatcher, and I'm amazed that you were able to get such beautiful clear close-ups. It must be amazing to see his mating sky dance! Voted up and beautiful! An interesting information. Thanks for writing on this topic. Voted up! Aviannovice..I hadn't noticed that yours is the Hub of the Day! Well deserved! Very good. Congratulations! Thanks, Keith! Glad you enjoyed it. There will be more! Summerberrie, best of luck! You should be all right there, though! If not, send me an e-mail, and we will get you to Boomer Lake and Deb! Lovely hub aviannovice. Your pictures are spectacular. You must be a bird whisperer to get so close. Congratulations on hub of the day!!!! 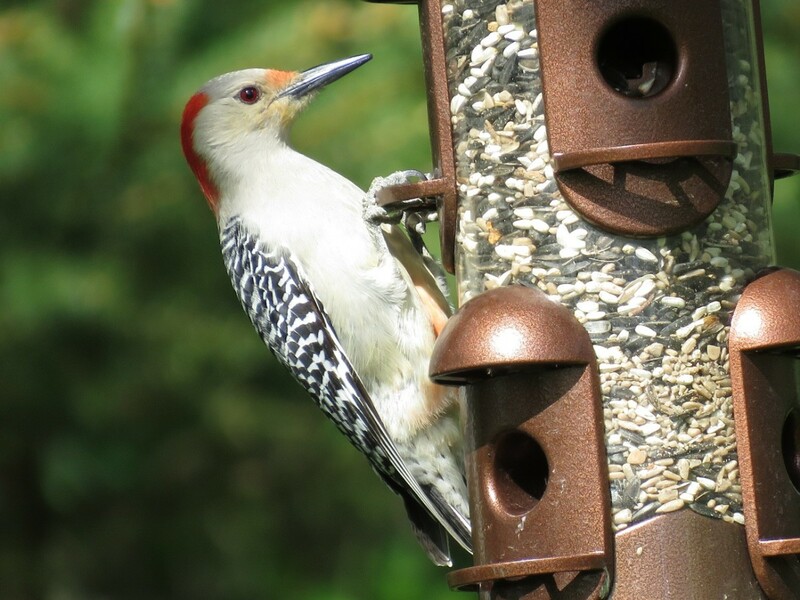 Congrats, aviannnovice on the hub of the day---well deserved and being able to enjoy this beautiful bird! I am heading to Texas in a few weeks and hope to spot a scissor-tailed and a green jay- wish me luck. Hey, LuckyCats! We will have to get together one day...I am in Stillwater. I have seen between 50-75 eggshells this week alone and have some great baby pics for you to see fairly soon. Really, Pamela? Perhaps we can get together and do some bird watching. Have you been looking at the weekly, "Life at Boomer Lake with Deb"? How did you know, Cindy? I have been trying to get published for decades, Cindy, but no takers. It has been so frustrating...Glad that you like the material. I appreciate that you found this a good read. I also write a weekly that you might like, too. There is always something here at Boomer Lake. Thanks for the kudos, Dawnrichard! I have so many ideas for different hubs, I have to start writing them down now. Hoping to have another one out today that I think you will like, as well. Jeannie, even though starlings are invasive(not from this country), they are interesting birds. They can talk, too, if someone takes the time. Thanks, brackenb. Glad that the hub was enjoyable for you. I have a few more planned on different birds. Dear aviannovice; I lived in SE Kansas...just about 35 miles from the Oklahoma border...during my 5 years there, I was lucky to see this beautiful bird. The amazing tail..I couldn't believe it as I'd never seen one before. Through my work with the Wildlife Songbird Clinic here, I have gained an even greater appreciation of our feathered friends. I have fallen in love with birds; and being a 'cat lady,' this is odd, indeed. But, it works out as my kitties do not have contact w/the beautiful birds around my home (enclosed wire mesh catteries w/shadecloth tops)...their songs fill the air and, right now, so many babies are being born; I can hear the mother/child conversations going on all around me in the tall bay and oak trees. Magnificant! thank you for a great hub! UP Useful Interesting Awesome and Beautiful. How awesome! Like something in National Geographic! Congratulations! I love scissortails and have many in my backyard. They eat a lot of flies and mosquitoes so I welcome them. I also live in Oklahoma. Congratulations on your hub of the day!! I just knew you were headed for it when I began reading your hubs. You're such an intuitive writer and so full of wondrous anecdotes. Keep up the FANTASTIC work!! I have just taken an interest in birds and bird watching. They are beautiful creatures! 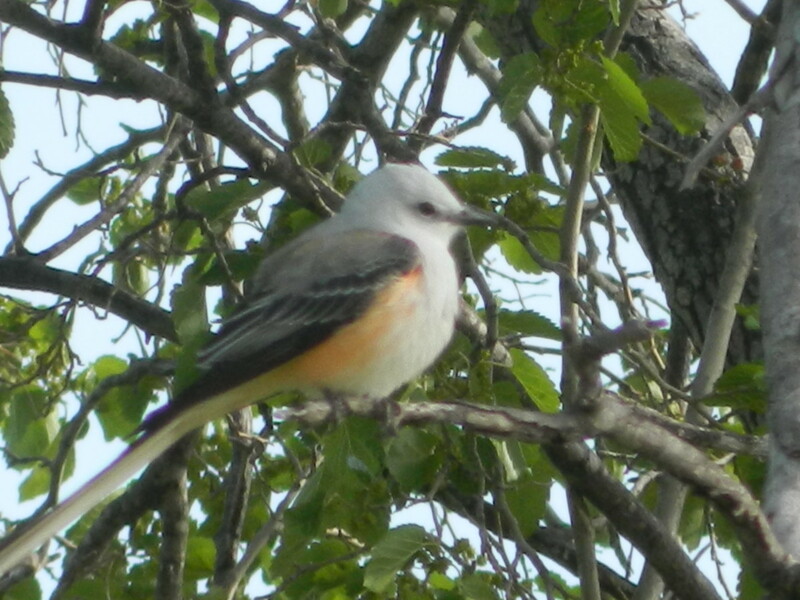 Loved reading your hub about scissor tailed flycatcher! Very interesting - beautiful bird! Thanks for writing and congrats on Hub of the day! What lovely birds and an interesting hub. Voted up and interesting. Yes, Eric, they are a hoot. They are everywhere, too, and they have this characteristic little "pip," that one cannot miss. A very pretty bird. My favorite photograph is the one at the end with the bird showing off his colorful wings while trying to steady himself on the tree. They must be so much fun to watch! Thanks, Kali. They do all sorts of things that attract one's attention. Voted up and beautiful. What a great story about photographing this lovely bird. Jackie, I don't have a lot of trouble when the bird gets to know me and sees that I am harmless. Just take your time with them and they'll settle in. The only difficulty that I have noticed, is warblers and vireos, but they haven't been around me much. I just loved this. I do so much photography but birds are so hard for me, all mine do is flit and hop around and as soon as I get aim they have flown away. I keep trying though. I did get some buzzards once. jenb, they are definitely worth seeing and photographing, if you get the opportunity. There are so many good birds that I still have yet to see. I love bird mating rituals. They can be so complex and entertaining. I wish we had these guys where I live! KDuBarry, I have indicated in another hub what I learned for communication tactics, which is listening with the eyes, not verbal. I think I was on the right track. Try it for yourself and see if it works for you. Thanks for coming by and commenting. This was very interesting to read! People definitely overlook the communication animals have to live. Nonhuman communication is definitely understudied. Thank you for sharing this information@ Voted up! Thanks, Nettlemere. I'm getting more and more experience every day, with both the birds and my digital camera. I am just having so much fun out at the lake! Enjoyed this a lot because you had useful information in it and plenty of personal experience of the bird to share. Sparrowlet, I recall the chickadee from my Maine days. Here, we have the Carolina Chickadee, so it's all good. What a beautiful bird! I've never seen one before, but then I haven't spent much time in that part of the country. Our state bird (MA) is the chickadee... a rather plain little bird, but cute. Nice photos too! Thanks for the vote of confidence, Letitia. I just got this digital camera in December, so I am new to bird photography myself. All I ever had was a point and shoot old style 35mm, so I'm still learning. Thanks, AnimalWrites. I hope to do more of these, I am certainly amassing photos for lots of birds. Hi, James. 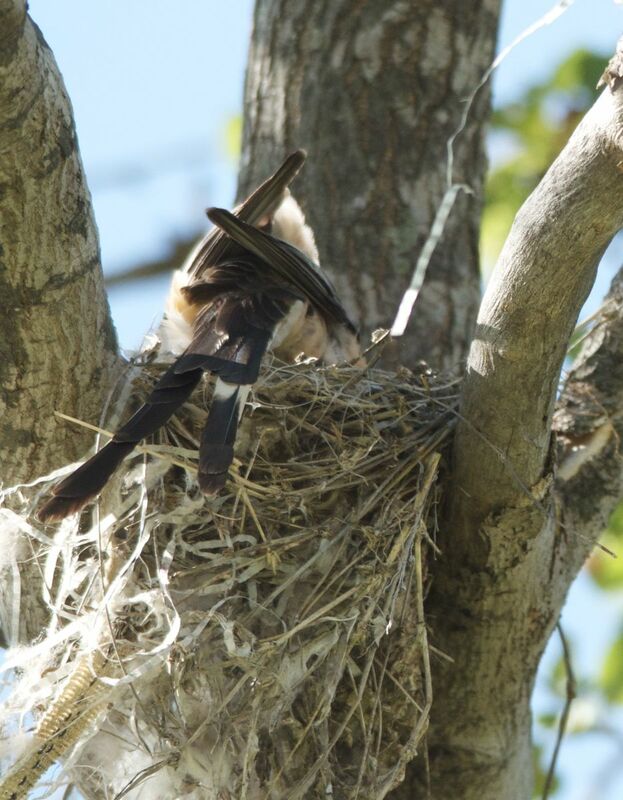 These birds are actually part of the kingbird family, and are insect eaters, so maybe that's where "flycatcher"came in. Thank you, Sneha Sunny. I adore birds, myself. I have plenty of reading material for you. Very interesting. Your approach of habituating the bird before photographing it was a revelation. Why don't you write a tutorial on photographing birds? 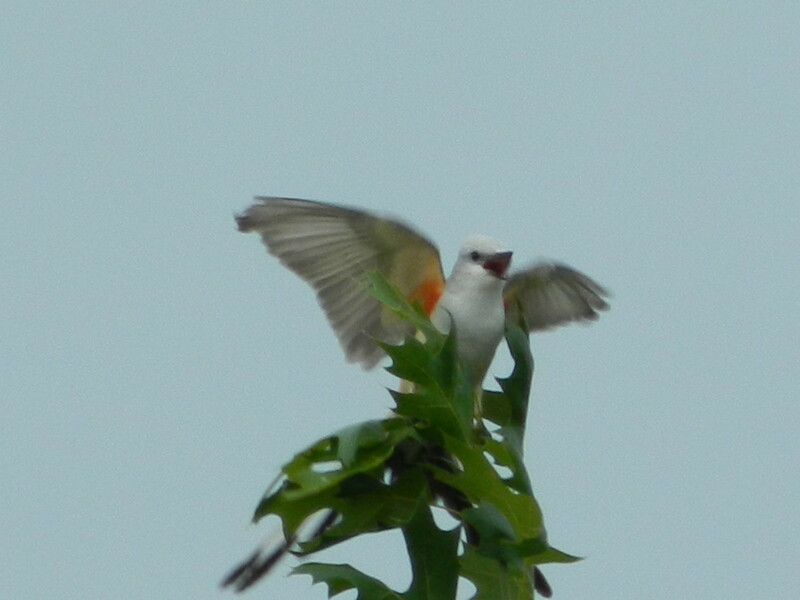 Thanks for the great facts on the Scissor-Tailed Flycatcher, and the photos are great. Voted up! Cool! 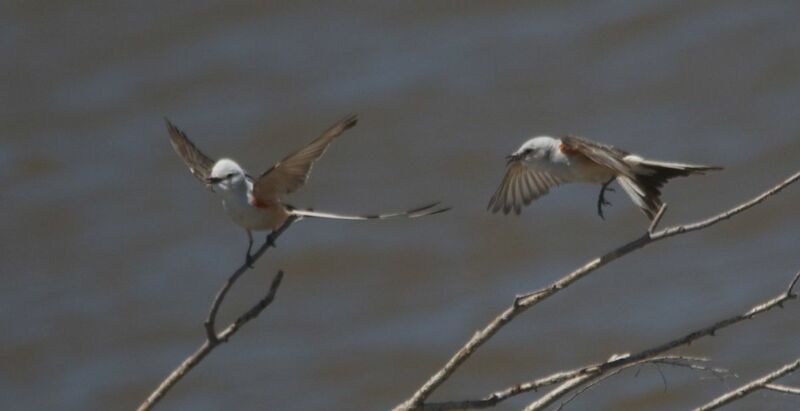 Never heard of a scissor tailed flycatcher before. It seems strange why it should be called a flycatcher, when it looks so different to conventional flycatchers. That male bird looks stunning. Thanks, Nadene. Birds are one of my favorites, as is my camera and my writing tools. Thanks for visiting with me. It's possible precy anza. I have been told that I can be somewhat entertaining for some. Why not for the Scissor-Tailed? I really enjoyed this. I have been doing a lot of hubs on birds and I did a few different Flycatchers, but not this one. The underside of the wings are adorable, and I love your photos!